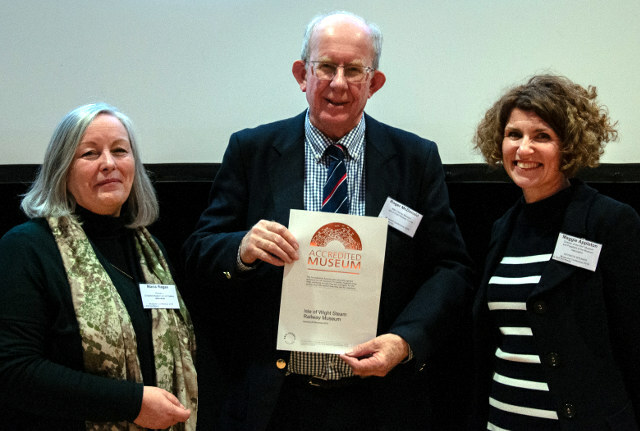 It’s taken three years to reach the point to being awarded Full Museum Accreditation status by the Arts Council and the chairman of the Isle of Wight Steam Railway says it’s an enormous achievement for the whole Island. “The whole application process has taken three years, presenting many challenges and learning points for the team along the way. The museum team comprises of 17 enthusiastic volunteers and is custodian to a wide variety of artefacts including uniforms, signage and other railway items. It also has a large archive and photographic collection. 1 Comment on "Isle of Wight Steam Railway joins handful of heritage railways to achieve Accredited Museum status"
And very well deserved recognising the hard work put in at the IOWSR.